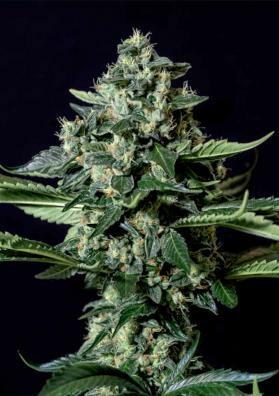 Kritikal Bilbo Marijuana is a super potent feminized strain, famous for its intense flavor and fruity aroma. Kritikal Bilbo is a feminized strain of Marijuana having a Afghan origin that was crossed with Skunk. It has won several awards throughout the country thus being especially appreciated by locals growers. It is very easy to grow so it is an ideal plant for those who start growing indoors. Kritikal Bilbo is famous for its spectacular aroma and intense fruity and sweet flavour, features that make a real delicay for the palate. Besides that, the effect this strain gives is unforgetable due its high content in THC (21%) and CBD (0.36%) levels. Kritikal Bilbo becomes a medium height plant plant and enjoys rapid flowering (about 45 days indoors) producing fat and heavy flowers with few leaves. The buds are ompletely covered with a very aromatic resin and this needs looking after by using filters and ventilators as the smell is very intense. Due its early maturatity this strain less susceptible to mold than other varieties. It is a generous producer and in indoors you will be able to get 400-450 grams per square meter of delicious Cannabis, while average yields will be get in outdoors in late September.